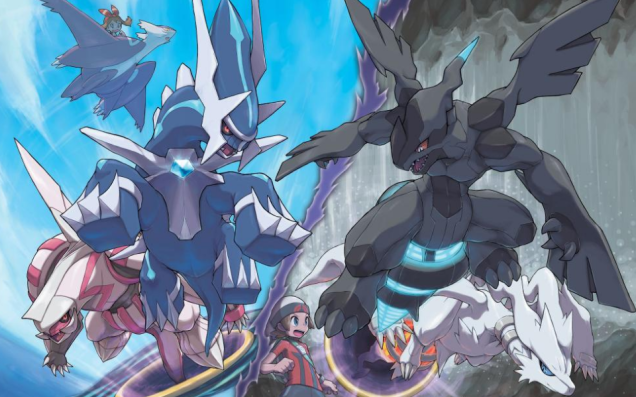 It’s seems like forever since we’ve gotten some Pokemon news – and even longer since we’ve heard anything about the 3 Mystery Pokemon of XY. 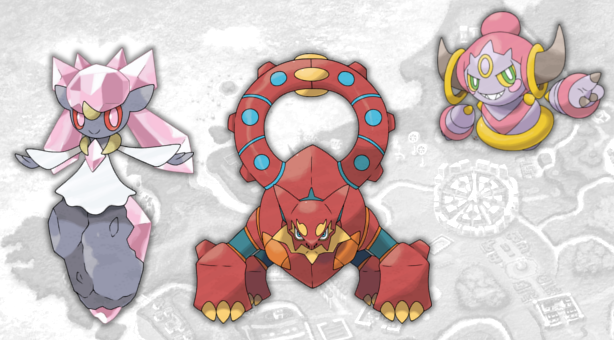 Though despite being initially discovered in Pokemon XY, I’m not exactly sure we can label Diancie, Hoopa and Volcanion as such anymore. 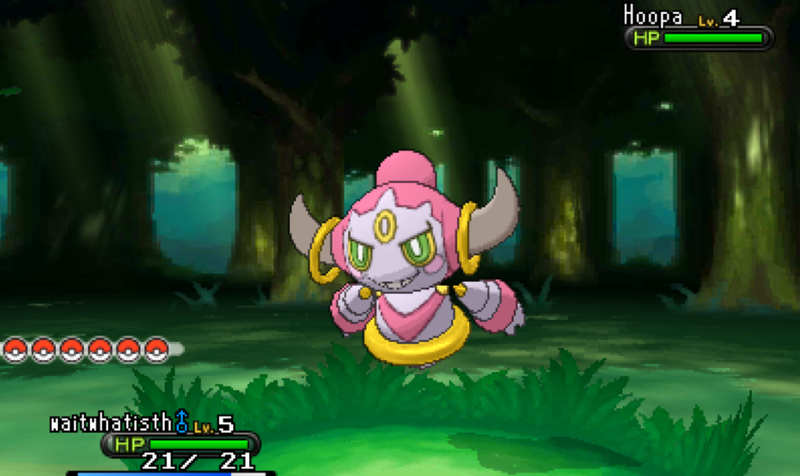 Diancie and its Mega Evolution were released in the early days of Pokemon Omega Ruby Alpha Sapphire (ORAS), and now Hoopa is following suit. 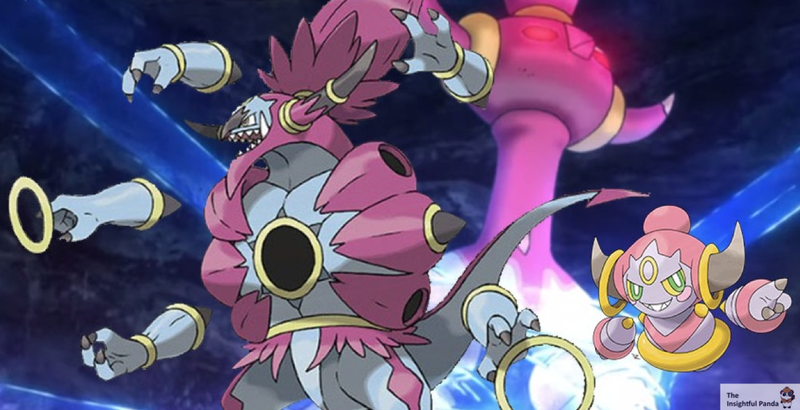 Earlier this week Pokemon unveiled the powerful Hoopa Unbound, but said little else about it. What is Hoopa? Where did it come from? Is Hoopa Unbound it’s Mega Evolution? When will Hoopa be released officially? Well thanks to CoroCoro Magazine and some hackers, we actually have some good insights into these answers. Unlike Diancie, Hoopa actually plays a very large story role of sorts for Pokemon ORAS. As you probably remember, upon using the Aeon Flute, you can ride around on Latios and Latios and occasionally come across distortions that hold Pokemon from various different regions & generations. How is this possible you ask? Pokemon #720, Hoopa! Those distortion rings you find scattered around that ask if you want to stick your hand in, those are the abilities of the mythical Pokemon Hoopa. Hoopa is a greedy and mischievous Djinn (Genie-like) Pokemon that is able to capture things with its rings and teleport them great distances. 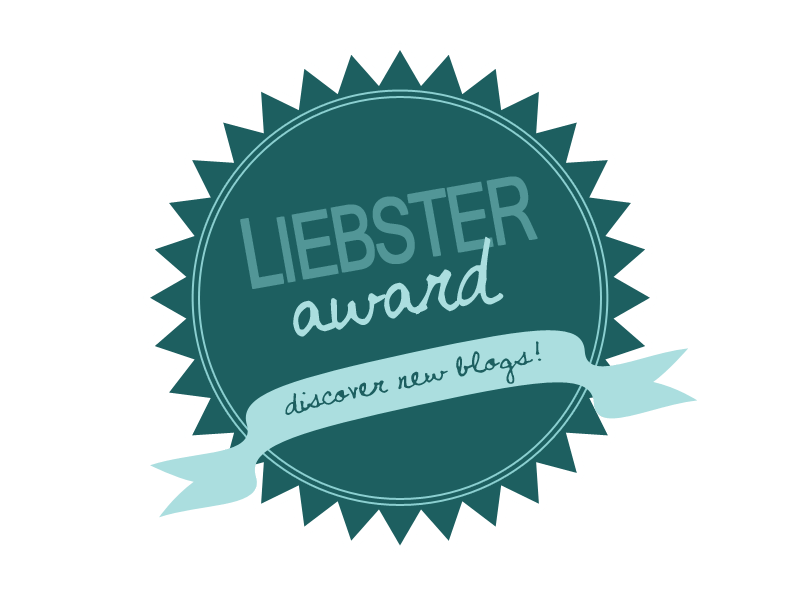 How could something so cute and small – albeit impish – be THAT powerful? Well I’ll get to that in the next section; but first let’s take a look at Hoopa’s Stats. With a total Stat spread of 600, Hoopa is nothing to laugh at. It’s power matches that of most near-Legendaries (Tyranitar, Dragonite, etc) and Mega-Evolutions (Mega Scizor, Mega Houndoom, etc). It’s Signature move “Hyperspace Hole is a special Psychic attack that hits the target no matter what. As for it’s typing, this makes it immune to Normal and Fighting types as well as resistant to Poison and other Psychic types. Sadly, it’s unique typing also gives it x4 weakness to Ghost and Dark. All in all, it’s a pretty fair Pokemon especially after you take into consideration its Magician Ability, which makes perfect sense. With Hoopa being the greedy Pokemon, stealing an opponent’s held items is right up its path; but what if I told you this isn’t the TRUE Hoopa. The real Hoopa is the one who has the power to open portals with his rings. It is this power that caused him to be sealed away in the first place; but once he’s unbound that power belongs to you. The video gives no clues as to how he changes form, but thanks to some hackers – and the upcoming film – we now know it has to do with an item called the Prison Bottle. Through interacting with this Key Item, Hoopa will become unbound but only for 3 days – or until it’s placed in the PC. After that it will revert to its original bound form. Once Hoopa appears in your game, a worker will appear in the nearest Mart and noticed the Hoopa in your party. He will then tell you a ghost story about a strange man who came in one night and traded everything in the store for this bottle. He will then turn the bottle over to you so that you can use it on your Hoopa. 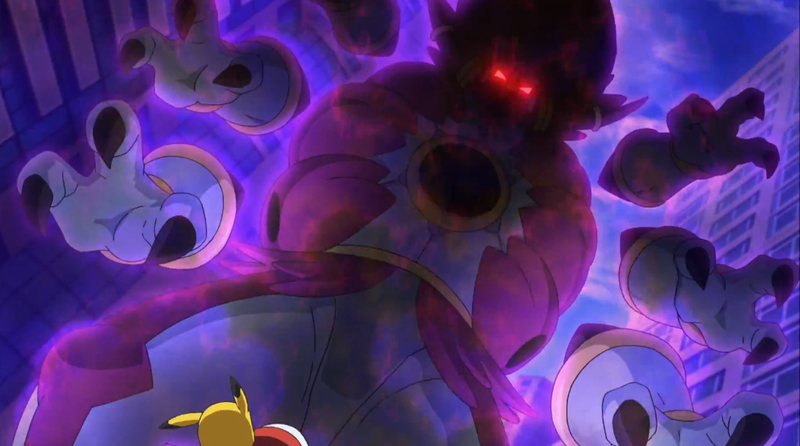 It’s unsure if this ‘mysterious man’ or the portals opening all over Hoenn will ever have a story explanation – they most likely have a connection – but we do know about Hoopa Unbound’s stats. Besides a significant boost in his ATK, Hoopa’s Unbound form is exponentially larger than his bound form. His new typing of Psychic Dark makes him lose a few resistances; but he is immune to Psychic. Additionally, those nasty double x4 weakness disappear and he only has a x4 weakness to Bug and x2 to Fairy; but this is much better than the x4 weakness to Dark his previous state had. He keeps the “Magician” ability; but gains the Dark Physical attack Hyperspace Fury. 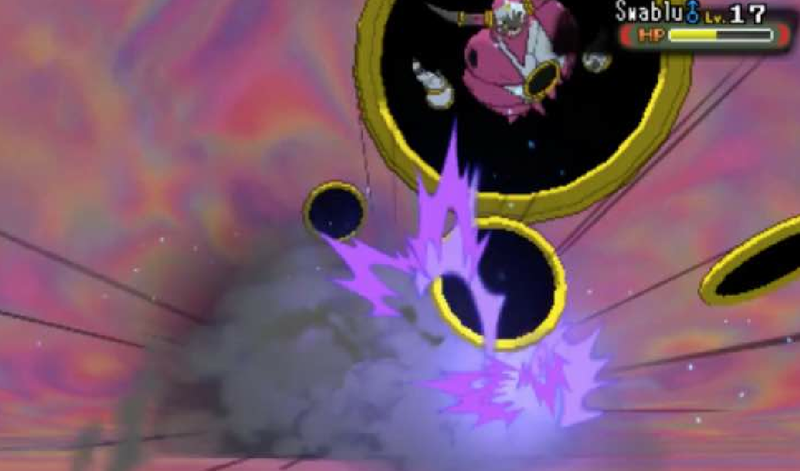 This viscious attack not only is unavoidable; but also can ONLY be used by Hoopa Unbound. No Mirror Moves, Sketch or even a Bound Hoopa can pull off this attack as it needs power of dimensional rings to execute properly. So when it Hoopa being released? The video is unclear, but it does say more information will be unveiled soon. The most likely time will be this summer to coincide with the release of the new Pokemon film Hoopa and the Clash of Ages (aka The Archdjinni of the Rings Hoopa). The film will be released in Japan on July 18th, which is about the time Diancie film was released last year. So does that mean this Pokemon won’t be released until the next Pokemon game? Doubtful considering the code for the Prison Bottle is in the Pokemon ORAS games. I’ll update this once more information becomes available, but right now it sees likely that we’ll also receive this Pokemon during the summer. he’ll probably be released with the next Pokemon game – whatever that is. Diancie – check. Hoopa – check. But where’s Volcanion?